Rainbow Six Siege Pro League events “have been delayed until further notice,” according to an announcement from the league earlier today. This delay is “due to unforeseen technical issues,” and for the immediate future will see the delay of the Paris Major Qualifiers that were set to begin next week. The Paris Qualifiers were set to begin next week, with Rogue, SK Gaming, Noble Esports, Mousesports, Evil Geniuses, Obey Alliance, Spacestation Gaming, and Beastcoast set to compete through night one on June 18. Those events were scheduled to run through July, and it’s as yet unclear what the new schedule might look like. Get together with friends and enemies alike to enjoy the best multiplayer games on PC. Those “unforeseen technical issues” aren’t specified here, but they likely refer to the bugs introduced since the launch of Operation Para Bellum, including some nasty reload bugs and other game-affecting sound and animation glitches. None of those are things you’d want to deal with in a casual environment, much less a competitive one. The announcement came via Twitter earlier today. 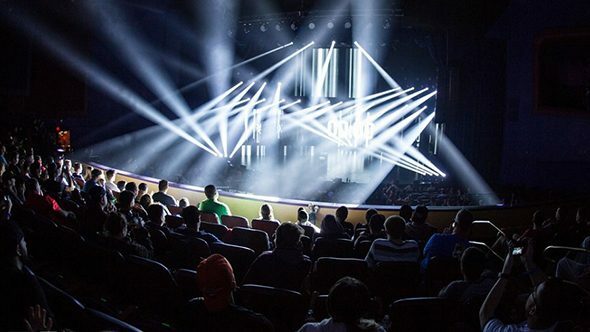 The Rainbow Six Paris Major is scheduled for this August, and will be the first Six Major under the new Pro League rules announced back in January. With a $350,000 prize pool, the league’s caution in going forward is understandable, though there’s currently no timetable on a fix for the current issues.